To execute Bangladesh Cricket Board’s (BCB) plan to find out more fast bowlers from the grassroots level, Bangladesh’s high performance pace bowling coach Champaka Ramanayake is all set to conduct a fast bowling camp in district level very soon. The former Sri Lankan fast bowler said in a country with more than 150 million people, there is no shortage of talents but they need to be unearthed in proper way as BCB emphasized on to make it fast bowling pipeline stronger. “We have a good series against England under-19. Fast bowlers have done well in the series. So there is a lot of talent in the country. That is why we have called a group of under-19 bowlers who are talented and we have found four-five bowlers. They are quite capable of a higher level of cricket in future,” he added. To provide players in the pipeline for the national team, in line with BCB’s vision Ramanayake has already been engaged in more development programmes. He has been conducting a camp with 13 bowlers who were picked up from the Youth Cricket League. “These are the under-18 group of bowlers who have played YCL recently. We have 13 bowlers in the camp. Our main job is to see how they are at the moment and to improve their skill-set. These are all about,” he said. Ramanayake however called for to have patience on the fast bowlers who are doing badly in Bangladesh ongoing series against New Zealand. 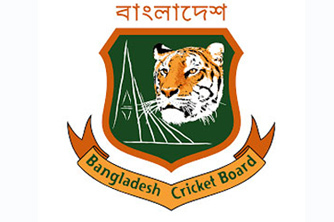 Of the three frontline fast bowlers who are the part of Bangladesh squad in the first Test against New Zealand, Ebadat Hossain worked under the supervision of Ramanayake for long. “The pacers are playing in New Zealand. They are fresh. They need more time to get more experienced,” he said. “He (Ebadat) can bowl fast. He is impressive. He failed to take an early wicket because a catch was dropped. I am sure that he has the talent,” he added. Ramanayake however advised Ebadat to be consistent with his line and length. “I worked on with his (Ebadat) skills. We saw how we have a good wrist to release the ball that all good bowlers have. He has to be more consistent with line and length which will come by the time eventually. “We like to go to all of the districts to find out more fast bowlers.